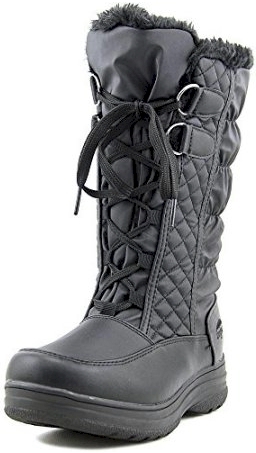 Walmart has got these Totes Women's Waterproof Donna Boots in black for $24.99 with free in-store pickup (or free shipping with a $35 minimum purchase). Regular and wide sizes available. Description: Stay warm and comfortable with Totes! This boot has a warm Thermolite insole to keep you toasty in the snow. Its comfortable waterproof construction will keep you dry in the wettest conditions!